As some of you may know, or not know I love Warhammer, and Warhammer 40k. So I was chomping at the bit for any info regarding this game. I reached out to Behaviour about their game Warhammer 40k : Eternal Crusade. I hope this is part of a series as we build up to game launch so I started with some easy questions to get you acquainted with what is going on. So Mathieu Fecteau was gracious enough to answer these questions. 2. I see 4 races, (Ork, Space Marine, Eldar, Chaos Space Marine), Will there be more at launch or is that all you are shooting for? The launch will included those 4 races as playable factions. But you will also encounter Tyranids on the battlefields of Arkhona ! 3. Can you tell me are there any future races planned, like the Tau? Post launch, of course we will release more races. But nothing have been confirmed officially. 4. I see factions are discussed a bit, will you be able to play as an Iron Warrior or Space Wolf? Space Wolf is already a sub-faction of the Space Marines planned at launch. The Space Marines faction will also include the following chapters: Blood Angel, Dark Angel and Ultramarines. 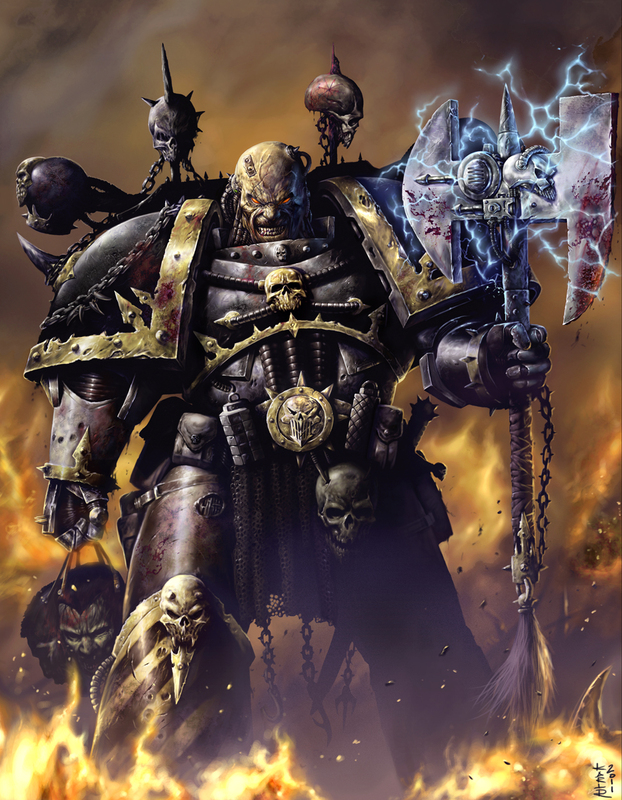 For the Chaos Space Marines, the legion included at launch are the Word Bearer, the Black Legion, the Nightlord and the Iron Warrior. 6. Can you wet my readers whistles, and give us any tidbits of what the Founders Packs may include? We are moving full steam ahead on the Founder’s program production. Tones of reveal are coming very soon. But I can tell you you will be able to equip your characters with rare weaponry, unlock specific heroes and may have some pre-heresy content. The creation of the strike forces are also part of it. More to come ! 8. I know you guys are really busting your humps with this, and it appears a lot of it is a labor of love. Are you folks big Warhammer 40k fans? Personally, I’m a Warhammer 40,000 fan and player since the 3rd edition back in early 2000. On the team, we have a couple of fans and players. And some of the team members are becoming fans too. 9. I heard Games Workshop can be a burden to work with, how have they been? It is a pleasure to work directly with them. Of course they can be picky, but they want to protect their licence and this is understandable. I won’t say they are a burden to work with, in fact when you also know the licence and want a good product, they are very happy to help ! I would like to thank Mathieu, Behaviour, and the people working on Eternal Crusade, and I hope to hear more from them in the weeks, and months to come. This entry was posted on April 14, 2014 at 3:25 pm and is filed under MMORPG with tags Behaviour, Eternal Crusade, Warhammer 40k. You can follow any responses to this entry through the RSS 2.0 feed. You can leave a response, or trackback from your own site.